It’s not that unusual for tablets and ebook readers to occasionally freeze up or stop responding. Even Amazon’s devices are susceptible to it sometimes. If your Kindle Fire tablet—including HD and HDX models—or Kindle Paperwhite or Basic Kindle is frozen or unresponsive, there are a few things you can try to get things back up and running smoothly again. The solution depends on what the problem is, which can range from bugs and glitches that can be fixed with a simple reset or software update, to problems with apps or ebooks that need to be deleted, to more serious issues with the battery, screen, or other hardware component. Restart Kindle: The simplest solution is to restart your Kindle by holding down the power button and choosing to shut down or restart. Even if the device is totally frozen, you can usually trigger a restart by holding down the power button for about 20 seconds, or until the screen flashes blank. Clean the Screen: If your Kindle’s touchscreen isn’t responding properly, make sure to clean the screen with a soft, slightly damp, lint-free cloth. Some devices, and especially the Kindle Touch with its infrared screen, can have problems if something disrupts the touch sensors. Software Updates: Make sure your Kindle’s software is up-to-date. Visit the Kindle Software Updates page for info on your specific Kindle model. Low Battery: This seems obvious but make sure the Kindle’s battery isn’t low. Faulty App: If your Kindle Fire HDX or other Kindle Fire tablet is suddenly acting up, make sure to delete any recent app that you may have installed to see if that corrects the issue. Poorly-coded apps can often cause problems with any tablet. Faulty eBook: Sometime an ebook can have an issue where it causes a Kindle to slow down or run poorly. Delete any recent ebooks from your device to see if that helps make your Kindle run smoother. Remember, all Amazon ebooks are backed up in the cloud so you can easily re-download it again. If you used Calibre to load a bunch of books, sometimes a corrupted file can cause your Kindle not to index the ebooks properly, and that can really slow things down. Try loading less ebooks at one time to find the problem book. Wait: If you loaded a bunch of ebooks onto your Kindle at once, it just may be slow because it is indexing them. Wait a little while to see if it speeds back up once it’s done indexing. If it gets stuck indexing remove the ebooks and try again in smaller batches. Device Reset: If you’ve tried about everything and your Kindle is still slow and unresponsive, you can wipe the device by resetting it and then start over with a clean slate. The option to reset is located in settings under device on the Kindle Fire tablets and in the settings menu for Kindle ereaders. Contact Amazon Support: If nothing seems to help your Kindle, then it’s time to contact Amazon support. 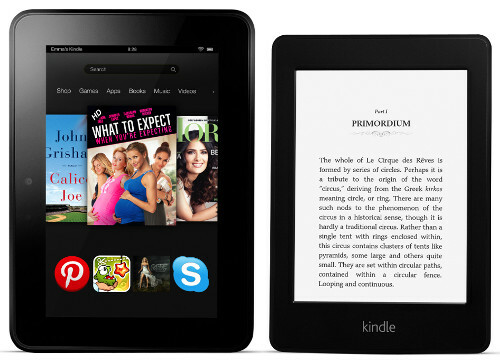 Kindle Fire Expert: PLEASE HELP ME! I LOVE MY THREE DIFFERENT KINDLES! I own the first and 8.9″ HDX and 10″ HD models! My first one is now giving me a serious problem! I can’t get it to work and tried everything reading your web-site! Plus I am no idiot when it comes to using electronics or using wireless devices! I’m a former highly awarded ex-IBMer and I even had an IBM Customer Engineer Portable Terminal. So I know about WiFi devices! If you can please E-Mail me, my device is casters up/dead! Any help would be most welcomed, PLEASE HELP ME! That’s what Amazon customer service is for. They get paid to take time troubleshooting problems and emailing back and forth; all I get is a headache for dealing with someone else’s problems in my spare time.